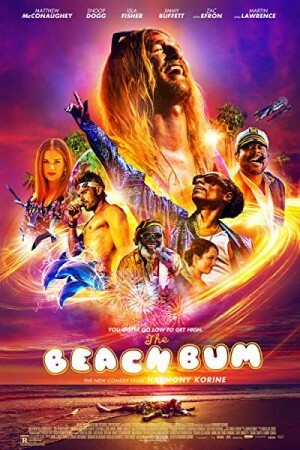 The Beach Bum, an American comedy film, follows the story of a once-famous poet named Moondog. A beach bum and a loveable rogue, Moondog lives life on his own terms while enjoying on the wealth of his rich wife, clouds of pot smoke, and rivers of booze. Things change when the eccentric millionaire faces financial ruin, turning him into a homeless weirdo. Moondog must work his way back up to fame through his dormant novel and the new journey makes him meet new characters including a world-famous singer, a dolphin-obsessed sea captain, a marijuana-connoisseur, and Zac Effron. Whether he is able to earn back his fame through hard work forms the rest of the story.